At Last Bell, we believe love heals. Our youth experience this gift of healing through the love of a community of Christians that reaches across the globe: our staff, volunteers, church partners, and YOU: our donors and prayer partners. This community welcomes the 150 new orphanage graduates who arrive in our city every year. We introduce Last Bell through life skills classes, invite students to welcoming events, and befriend them with curiosity and care. 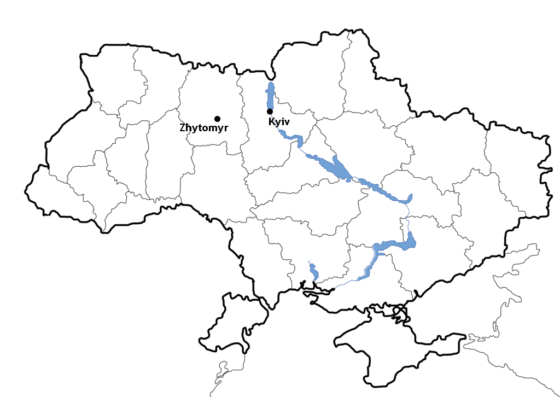 This year, we expanded our reach to all 12 trade schools in Zhytomyr. And this holistic model is working. I see orphan-led families breaking the orphanage cycle. I see former orphans on our staff and volunteering. 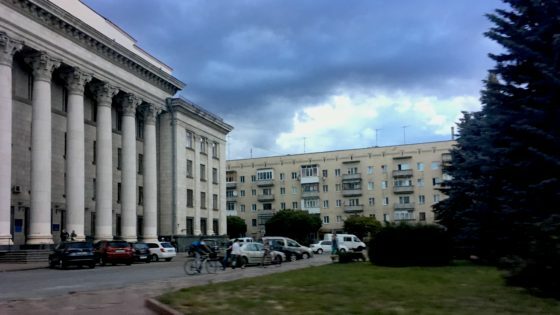 I see Zhytomyr transformed, as officials listen to the voices of orphanage graduates. This season, we’re revisiting the “Last Bell basics”: our three main programs that meet fundamental needs, with a foundation of mentorship and basic help. Building on these, we’re creating new ways to bring healing and hope to orphanage graduates. Will you make a year-end gift to help us transform these precious lives in 2019 – and beyond? See stories from 2018 below! Program Basics: We meet orphanage graduates at our city’s trade schools and social dorms. These youth are new to the city and independent life. We bring life skills classes to their schools, invite them to youth meetings, and develop trust relationships. 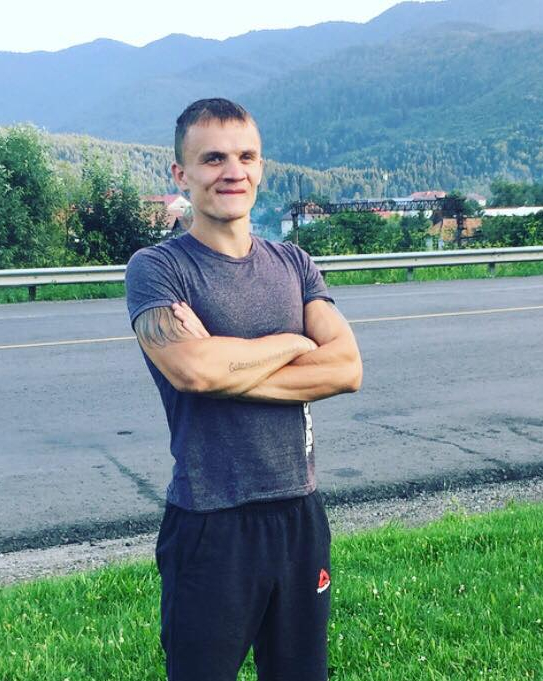 Vlad was in state care from infancy, and landed in the same prison where he’d been born. In 2017, he was released, alone and covered in prison tattoos. We met him during life skills lessons. At Last Bell, he connected with people easily. When his criminal “friends” came calling, Vlad chose his new life instead. This year, we helped Vlad acquire housing and a good job. He’s not afraid of his past, and has hope for the future! 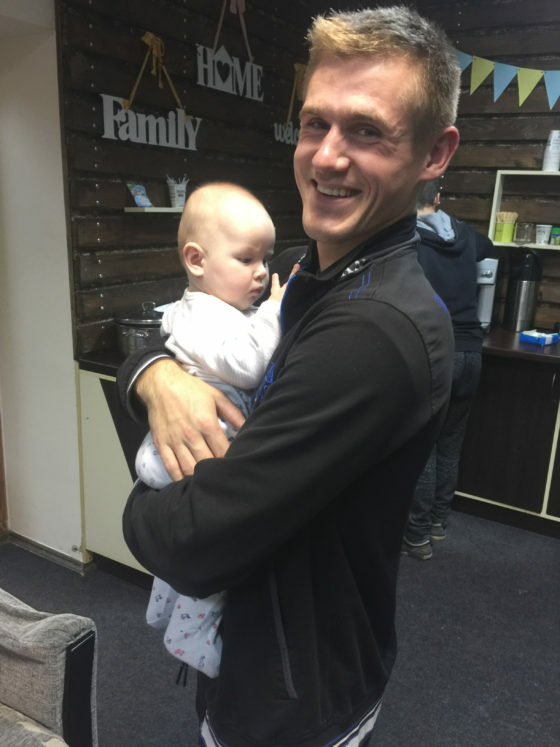 Program Basics: Services for orphan-led families. We advocate for orphan parents and offer parenting classes, groceries and supplies, crisis housing, and secondhand clothing. In 2018, we sponsored a full year of the first MOPS (Mothers of Pre-Schoolers) group in our city. 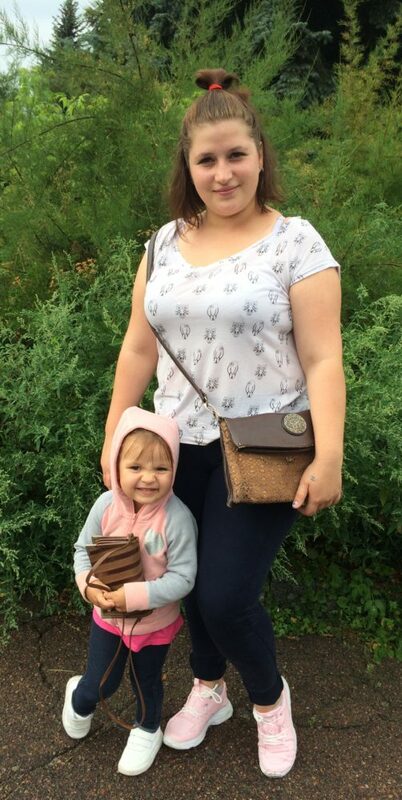 When Natasha became pregnant as a teenager, her trade school kicked her out. When we met her, she was in a dilapidated, unsafe home she couldn’t afford to heat, about to lose custody of her baby. We welcomed her to our crisis housing facility and offered practical help. 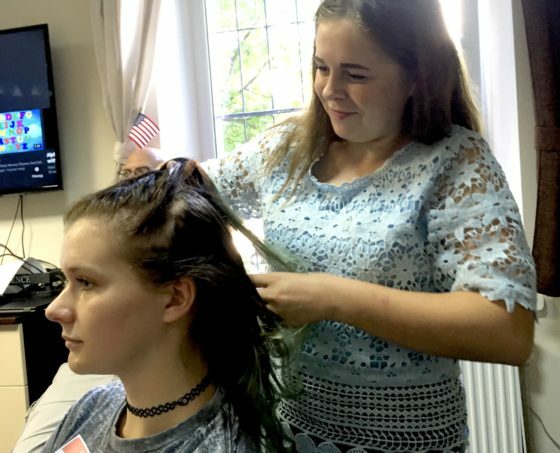 Natasha finished high school, and she’s studying to be a hairdresser. She became a Christian and volunteers at church. Enveloped in our loving community, Natasha is a happy mom who doesn’t consider herself an orphan anymore! Program Basics: Meets two needs: housing and job skills. A crew of orphanage graduates apprentices with our staff, learning the home renovation trade while restoring the homes of fellow orphans. In 2018, the RP crew learned how to build a house from the ground up. get a job on the open market. Each orphanage graduate comes to us with unspoken problems, fears, and dreams. We “do life together,” advocating and helping with practical needs, whether a medical situation, legal trouble, or difficulty studying. As former orphans mature and become more independent, we continue to be their support system – celebrating their successes, mourning with them in times of sadness and grief, checking in regularly, and acting as extended family. …and brings “hope and a future.” This year, our staff reimagined the lyrics of a popular song. At youth meetings, you can hear many orphanage graduates singing, “You have a future!” Watch for a special recording at Christmas. 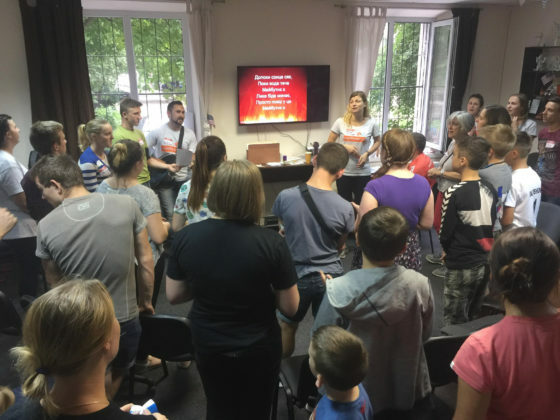 After generations of trauma, God is bringing healing and hope to orphanage graduates and their families in Zhytomyr. Will you help us express God’s love to orphans through a financial gift? Many thanks from all of us at Last Bell! PS – Your gift is important! Individuals provide 85% of our income. The Spirit of the Lord is upon me, for he has anointed me to bring Good News to the poor. He has sent me to proclaim that captives will be released, that the blind will see, that the oppressed will be set free, and that the time of the Lord's favor has come.